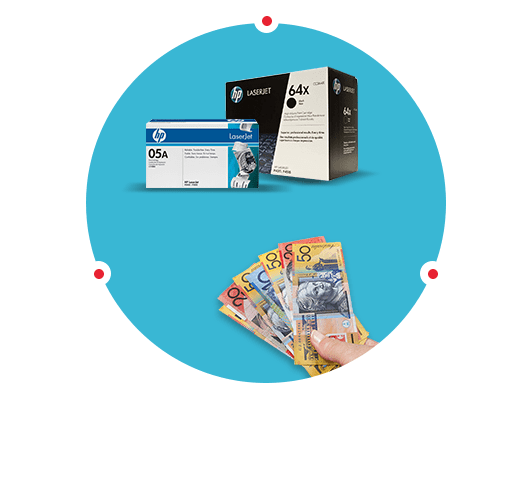 Sell unwanted and unused toner cartridges for cash at webuycartridges.com.au! 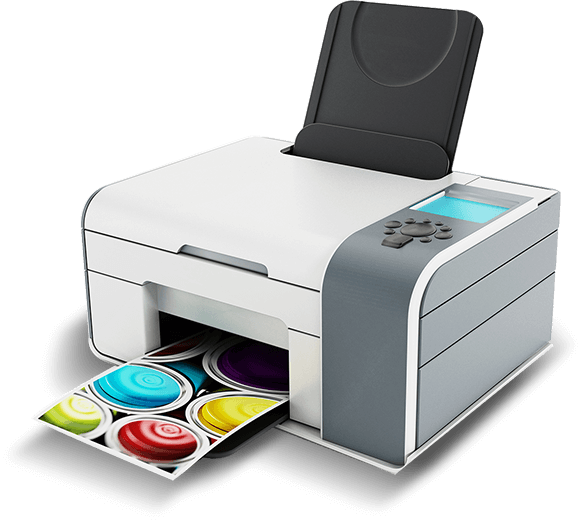 We will buy the toner & ink cartridges which you no longer need. As long as these supplies are genuine name brand products, from the original equipment manufacturer (OEM) and factory sealed, we can help you! We Buy Cartridges is an Australia Wide Company and you can email or phone us with what you have to sell, and we will reply with our offer. Prices will vary depending on stock. It’s never been simpler to sell toner online! You no longer have to stress over how to ethically dispose of your surplus cartridges. Help the environment and your bank balance by selling your quality units to us and keep your cartridges, along with your cash, out of the landfill. With webuycartridges.com.au you know that you are getting a fair and competitive price for unused cartridges, alongside outstanding customer service. You’ll walk away with a smile on your face and cash in your pocket. We do not buy empty, generic, compatible, refilled or used cartridges! We only buy brand new, original and genuine factory sealed products as you would see in a retail store. 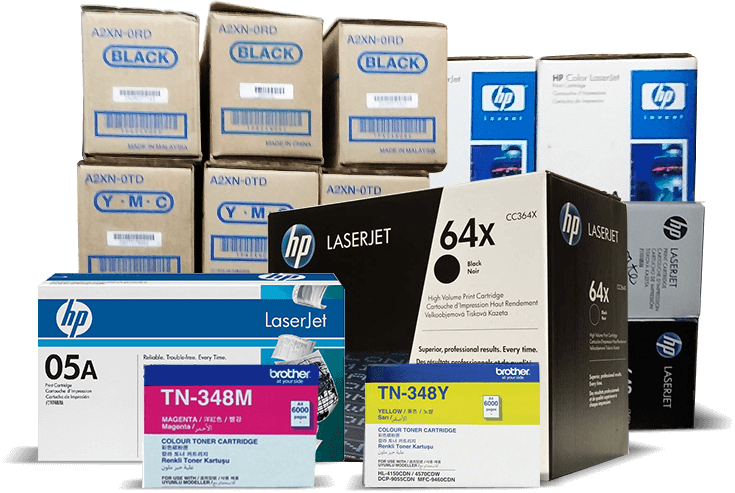 You can sell us any quantity of genuine name brand toner and ink cartridges, assuming they are packaged in the original retail box and in good condition! At webuycartridges.com.au we buy any quantity of genuine name brand toner & ink cartridges! We specialise in surplus, liquidation, bankruptcy, distressed, overstock, unwanted, clearance and obsolete merchandise. As one of the go-to toner buyers across Australia, you know you can rely on the team at webuycartridges.com.au. See the difference that our high standards of service and focus on customer satisfaction will make. You can also donate unused ink and printer cartridges to charities, to assist disadvantaged people across the country. If this is a better option for you, please visit donateyourcartridges.com.au.